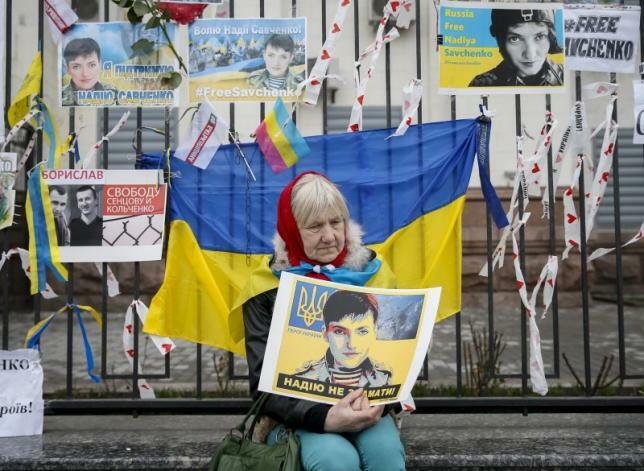 Ukrainian military pilot Nadia Savchenko arrived home in Kyiv today (25 May) after nearly two years in a Russian jail, part of a prisoner swap in which two Russians held in Ukraine were returned to Moscow. The European Union’s foreign policy chief, Federica Mogherini, hailed Russia’s release of Savchenko, saying she was celebrating with Ukraine. “Nadia Savchenko is free and back in Ukraine. Long awaited good news, that the EU celebrates together with her country,” Mogherini said on Twitter. Mogherini had repeatedly urged Russia to free Savchenko since the helicopter pilot’s arrest in 2014, warning at one point that the Ukrainian was at risk of death because of a hunger strike. Germany has also welcomed the swap of two Russian prisoners in exchange for Savchenko, who was jailed for alleged involvement in an attack that killed two Russian journalists on eastern Ukraine’s frontline. A Ukrainian court yesterday (18 April) sentenced two Russian soldiers captured last May to 14 years in prison for their involvement in the pro-Russian separatist conflict in eastern Ukraine. Welcome back 2 the free world, Nadia #Savchenko! Handing over Savchenko, whose release had been demanded by Western governments and who has become a national hero in Ukraine, is likely to ease tensions between Moscow and the West a few weeks before the European Union decides whether to extend sanctions against Russia. 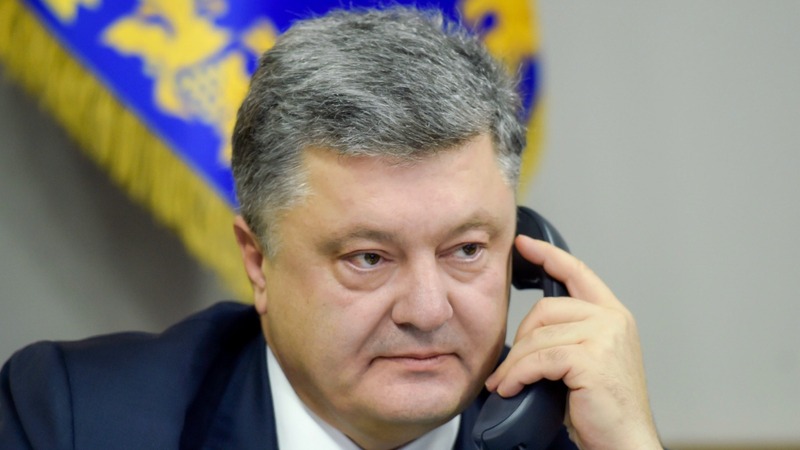 “A presidential plane with Ukraine’s hero Nadiya Savchenko has landed,” Ukrainian President Petro Poroshenko said in a post on Twitter. In Moscow, Kremlin spokesman Dmitry Peskov said that Savchenko, who while in Russian jail was elected a member of the Ukrainian parliament, was granted a pardon by Russian President Vladimir Putin to allow her to leave jail and return home. Peskov also said that the two Russians, Alexander Alexandrov and Yevgeny Yerofeyev, were now back in Russia, having landed at Moscow’s Vnukovo airport on a special flight from Kyiv. Ukraine accused them of being Russian special forces officers fighting in eastern Ukraine, though Moscow has never acknowledged the two were following its orders. 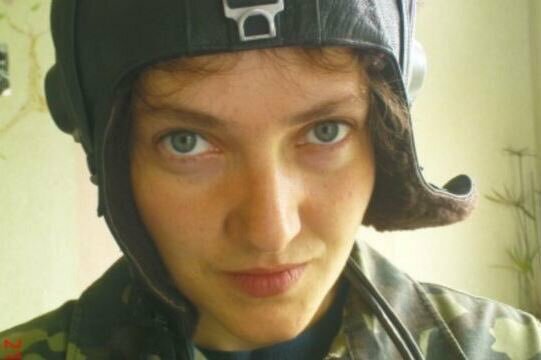 Savchenko, a military pilot, volunteered to fight with a ground unit against pro-Moscow separatists who rose up against Kyiv’s rule in eastern Ukraine. She was captured and put on trial in southern Russia, charged with complicity in the deaths of Russian journalists who were killed by artillery while covering the conflict. She was accused of acting as a spotter, calling down the fire that killed the journalists, but denied the accusation. A Russian court in March sentenced her to 22 years in jail. She is widely seen in Ukraine as a symbol of resistance against Russia, a perception bolstered by her defiant behaviour in court during her trial. At one point, she interrupted the judge reading out his verdict by standing on a bench by singing the Ukrainian anthem at the top of her voice. Yerofeyev and Alexandrov both said in interviews last year they were Russian special forces soldiers who were captured while carrying out a secret operation in eastern Ukraine. Russia’s relations with its neighbour Ukraine have been toxic since an uprising in 2014 forced out the Moscow-backed Ukrainian leader Viktor Yanukovich and installed a pro-Western administration. Russia then annexed Ukraine’s Crimea Peninsula. Moscow said it was protecting the local Russian-speaking population from persecution by the new authorities in Kiev, but Western governments called it an illegal land-grab and imposed sanctions on Moscow. Soon after, pro-Moscow separatists began an armed separatist rebellion in the Donbass region of eastern Ukraine, an area with a large-Russian speaking community. Fighting between the rebels and Ukraine’s forces killed thousands of people. A fragile ceasefire has been in place since last year, but there is no permanent settlement to the conflict.